Ros originally trained and worked as a teacher. An interest in complementary therapies developed after experiencing the support and benefits that she personally felt during some stressful and difficult times. She trained and qualified in Harrogate at the Sylvia Brearley School of Therapy gaining ITEC Diplomas in Holistic Body Massage, Aromatherapy and Reflexology. She has also undertaken training courses led by Gerry Pyves who developed NO HANDS® Massage. 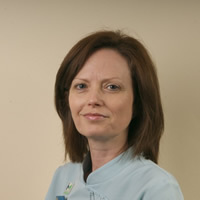 Ros studied and qualified in The Bowen Technique with the European College of Bowen Studies and with EMMETT Therapies UK to become an EMMETT Technique Practitioner. As a member of the Complementary Therapists Association (CThA), the Bowen Therapists Professional Association (BTPA) and the Complementary and Natural Healthcare Council (CNHC) for Bowen Therapy, she strives to work to the highest professional standards and continues to seek out further training opportunities to ensure that her skills and knowledge continue to develop in the therapy world. She is a friendly and compassionate person who understands that Reflexology, Massage, Bowen therapy and The EMMETT Technique can give support through life's often challenging journey. Complementary Therapies can help to give vital opportunities to those seeking to take 'time out' of a busy and stressful life style as well as those seeking to regain and maintain optimum health and well being. She will tailor your therapy experience to enable you to relax, release, rejuvenate and recharge! Reflexology is an ancient form of healing, originating from the Egyptians and China. It is based on the principle that there are reflexes in the feet which relate to each and every organ, gland and body system. Gentle pressure is applied to the reflex points on the feet helping to release tension, remove energy blockages and restoring balance to promote the healing of both body and mind. Anxiety, depression, digestive disorders, insomnia, menstrual/menopausal difficulties, migraine/headaches, muscular aches/pains, respiratory conditions, skin and stress related conditions. It can be a deeply relaxing treatment both physically and mentally therefore being highly beneficial in relieving stress and tension. Once discovered, it is not hard to see why this therapy still exists today. It should leave you feeling calm and centred and more able to cope with life's demands with renewed energy! Aromatherapy uses a unique blend of essential oils which are derived from plants and fruits. These natural oils which have been used for many years have characteristics which when absorbed through massage can have beneficial therapeutic effects on the body. Aromatherapy massage uses a unique blend of essential oils chosen to address each physical &/or emotional health needs at the time of the treatment. It can assist with a wide range of conditions including stress, anxiety, depression, fatigue, insomnia, digestive problems, muscle and joint pain, skin disorders and headaches. It is a holistic treatment, balancing the whole person, leaving many with a feeling of peace and calm and yet the energy and strength needed to face the outside world again! Massage is probably the most ancient therapy on the planet with its importance having been recognised as long ago as Hippocrates (born 460BC) who stated that Massage, diet and exercise are the three most important ingredients for good health. NO HANDS Massage takes the powerful and ancient therapy of Massage to a new level. It is deep, releasing, energising, transforming touch. It was conceived and developed by UK therapist Gerry Pyves after 20 years of clinical testing. Instead of using our hands, we use the soft surfaces of our forearms resulting in a deeper (though not painful) and more relaxing treatment than a conventional Massage. For this reason it has been called 'The Gentle Giant of Massage'. This powerful and deeply relaxing massage can be highly beneficial for muscular complaints, tension and for stress. However it is more than just a massage for the occasional pampering or for soothing aches or pains, it is massage for life. Find out more about NO HANDS Massage by visiting my website www.rosharrington.co.uk. The Bowen Technique originates from the work of Tom Bowen (1916-1982) from Australia. The Bowen technique is a soft tissue remedial therapy which involves the therapist using fingers or thumbs to make specific gentle rolling type moves over muscles, ligaments, tendons and fascia in various parts of the body. These moves aim to stimulate the body to identify areas of imbalance, leaving it to make the changes necessary to restore balance and improve function. Each set of Bowen 'moves' is interspersed with a short rest or break which allows the body time to process the information and begin to initiate the healing process. Usually the treatment is carried out with the client lying down to allow the body to relax fully. The treatment can often be carried out over suitable lightweight clothing such as a t-shirt and leggings. This therapy is suitable for all ages from babies through to the elderly. As a holistic treatment the Bowen technique can benefit many, not just those with specific conditions. Some people choose to have treatments from time to time to help maintain their general health and well-being. With its ability to release stress at a deep level, Bowen treatment encourages the body to heal itself holistically at all levels physically, mental and emotionally. The Bowen Technique can bring relief from acute or long standing conditions, on average 3-4 treatments are recommended though sometimes less treatment is necessary and sometimes more. What is Thermal Auricular Therapy/ Hopi Ear Candling? Ear candling is an ancient practice that has been used for centuries in many cultures throughout the world. Thermal auricular therapy or Hopi ear candling is a gentle, relaxing treatment involves the use of hollow tubes (candles) made from unbleached cotton hardened with beeswax and contain honey, sage, St John’s wort & chamomile. They are inserted into the outer ear canal and when lit at , the top end of the candle the flame creates a gentle vacuum which may help to draw impurities gently to the surface; most deposits evaporate and are carried away through the candle ‘chimney’. After 10-15 minutes the candle is removed and the process repeated on the other side. During treatment you may experience gentle heat around the ear area. You may hear popping sounds and a pleasant crackling as the ingredients are burning. This is a deeply relaxing treatment and concludes with a face massage in which the sinuses and lymphatic points are treated to encourage efficient drainage. A course of treatments may be recommended for the best results. Hopi ear candles should not be used if there is any inflammation or infection in the ear and are not suitable for people who have had recent ear surgery or those with ear grommets or tubes, perforated ear drums, or allergies to any of the products in the candle. improved comfort and ease within the area treated such as back, abdomen, hips, legs, knees, ankles, feet, shoulders, arm, hands and neck. Most people report an immediate and significant improvement with the problem that has been troubling them. Many people who previously had limitations on what they could do find they can perform these actions more easily after treatment. To find out more about the EMMETT Technique go to www.emmett-uk.com . People can be treated while sitting, standing or lying down. Through consultation, observation and assessment specific EMMETT moves are selected for each client’s specific needs at the time of the treatment. The treatment can be applied directly to the skin or through lightweight, loose clothing. Sessions can last anywhere from 10 to 30 minutes depending on what is necessary for an effective response if the EMMETT Technique is used alone. If appropriate, sometimes Ros may combine this technique within another treatment modality such as The Bowen Technique, Reflexology or Massage if this is within the normal time allowed for that treatment there is no extra cost, however if a longer session is required the treatment will be priced accordingly.